Those who are very savvy about travel rewards have learned many tips and tricks about how to maximize the cash back, miles and points that they can earn by shopping through the online shopping portals and malls offered by credit card companies. Not only can you find great discount deals, but if you really know how to work the system, you will earn some great rewards along the way, too. For those who do most of their shopping online, knowing the various portals and where you can get great deals on the things you need is important. For example, using the Discover Deals portal, you can earn up to 10% additional cash back. If you shop on the Southwest Airlines Mileage portal, you will earn multiple points for every dollar spent at many popular merchants too. Most of the other big airlines & bank reward programs will also offer you great deals and discounts, along with high points and miles earnings. You can compare who has the best offers at evreward.com. The good news is that you can get plenty of great deals, earn tons of cash back, and earn plenty of miles and travel rewards. But, the bad news (not really bad) is that most of the travel partners and credit card companies offer these deals, and it can be tempting to spend too much on unnesecary purchases. When you earn tons of miles but they are spread out over too many travel companies, you won’t be able to redeem them as quickly or for the best rewards possible. So do some research, decide how you will be using your travel rewards, and make sure that you are using the portals that are going to give you the best benefits. It’s also hard to keep track of too many sites and too difficult to reach spending limits that give you the really big bonuses. Most people use their travel credit cards for their everyday purchases and their big purchases, trying to accumulate lots of points, cash back, or miles. But, shopping at regular stores will not give you the same boosts as using the online shopping portals. For example, if you are going to buy a television for $500 at WalMart, then you would earn 500 points using most of your travel rewards cards. But, when you shop through the portal, such as the AAdvantage e-shopping mall, you would sign into the portal and click through to the WalMart site this way. When you make your $500 purchase, you earn triple points, and will get 1,500 points, instead of the regular 500. 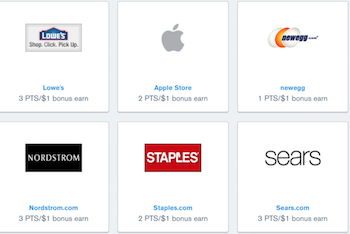 This example makes it easy to see how you can easily take advantage of the portals and give your points and cash back bonuses a huge push in the right direction—toward your pocket! Using the online portals will require a change in habit for you. It is something you will have to remember to check, and you will want to shop around to indeed determine that you are getting the best possible deal. But, when you do this, you will truly reap the savings and enjoy the increased rewards. This will allow you to get more cash back or travel more frequently (which gets you even more rewards!). Learning about the online shopping portals that are associated with your credit card or airline points accounts can help you maximize your cash back, miles, and points earnings with every purchase you make. You don’t have to physically go to a store to make most purchases, and more and more people are shopping online every day. If you fit into this category, then you are probably eligible for these great cash back and points rewards—if you know where to look for the deals and points bonuses. 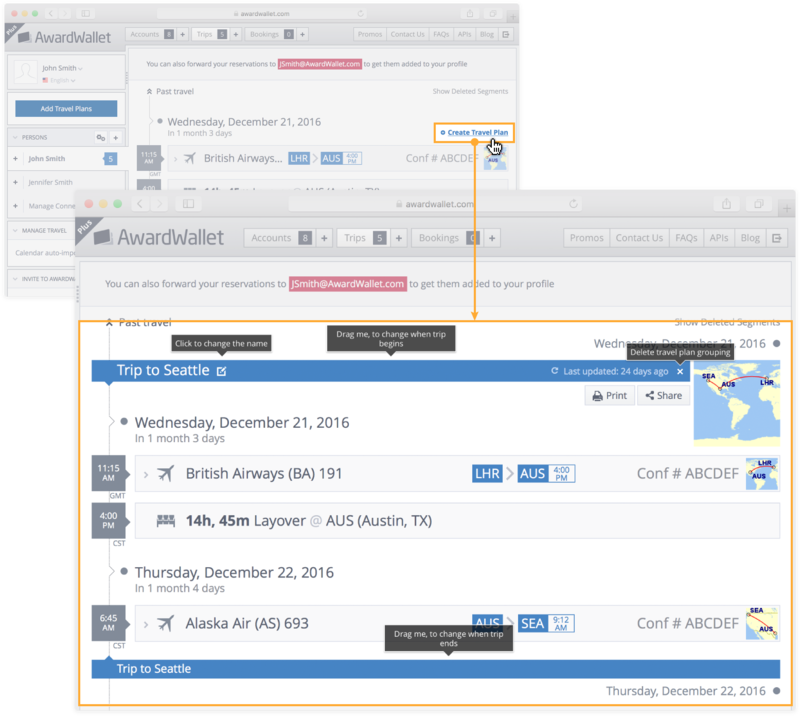 Did you know that you can group different travel segments into a single travel plan? You can then share this trip with anyone. To do this use the Create Travel Plan link. You can move the beginning and end sections of the travel plan by dragging and dropping.